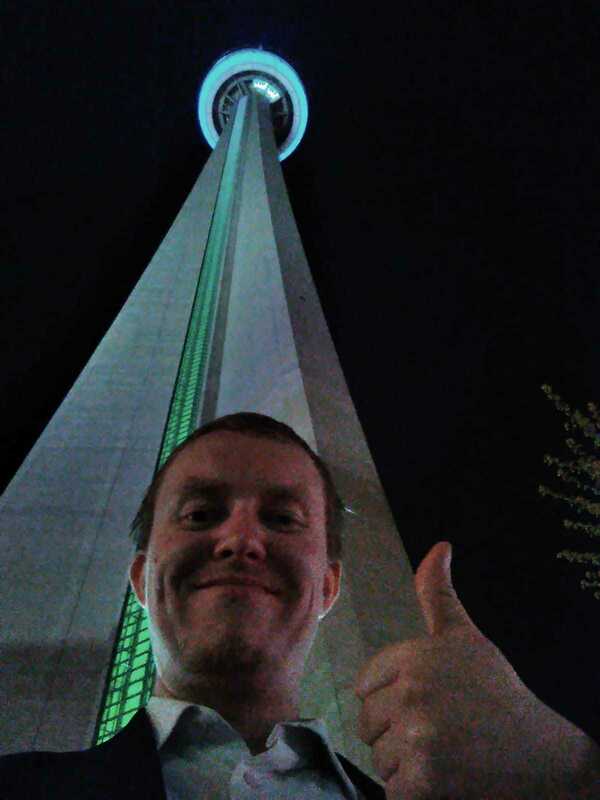 The CN Tower (French: Tour CN) is a 553.3 m-high (1,815.3 ft) concrete communications and observation tower in downtown Toronto, Ontario, Canada. Built on the former Railway Lands, it was completed in 1976, and held the record for the world's tallest free-standing structure for 32 years from 1975–2007 and was the world's tallest tower until 2009 being overtaken by Burj Khalifa and Canton Tower, respectively. It is now the third tallest tower in the world and remains the tallest free-standing structure in the Western Hemisphere, a signature icon of Toronto's skyline, attracting more than two million international visitors annually. Its name "CN" originally referred to Canadian National, the railway company that built the tower. Following the railway's decision to divest non-core freight railway assets prior to the company's privatization in 1995, it transferred the tower to the Canada Lands Company, a federal Crown corporation responsible for real estate development. Give A Smile And Thumbs Up To The Camera!